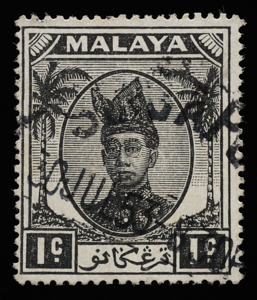 Sultan Sir Ismail Nasiruddin Shah ibni Al-marhum Sultan Zainal Abidin III (1907–1979), wearing the Trengganu sultan's tengkolok with a characteristically narrow downward fold on the front rising towards the top. 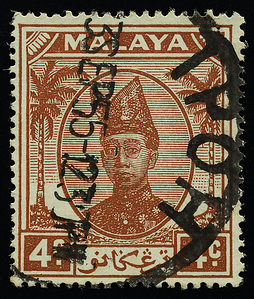 The sultan was an avid photographer. 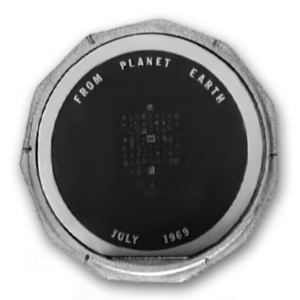 The people of Malaysia join the rest of the world today in congratulating the Government and people of the United States of America on the success of the Apollo 11 mission to land man for the first time on the moon. May the knowledge gained in the efforts to fulfill this historic mission add to the wisdom of mankind in our search for greater peace and prosperity. 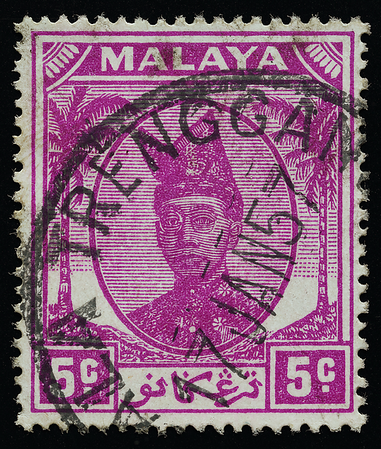 Trengganu stamps postmarked in faraway states: Singapore, Perak and Johore. 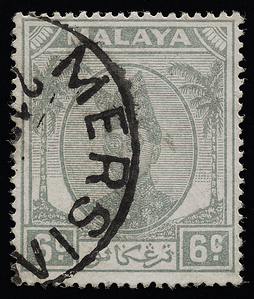 It was in Trengganu that the earliest evidence of Jawi writing in the Malay archipelago, dating back to c. 1300, was uncovered (unesco 2008).